Beyoncé has come a long way from the little girl who hung around her mother's Houston beauty salon. According to an alleged rider to her Mrs. Carter Show World Tour contract, the 31-year-old singer has quite a list of demands that include alkaline water chilled to 21 degrees and served through $900 titanium straws and a dressing room with plain off-white walls, new toilet seats and red toilet paper. The Daily Star reports that all the crew members at her show are required to wear 100 percent cotton to prevent any allergic reactions. She reportedly has hand-carved ice balls after every show to cool her throat and junk food is banned in favor of almonds, oatcakes and green-only crudités. The U.K tabloid is not the most reputable newspaper in the world, however, and the Huffington Post points out that reports that the singer demanded a $1 million nursery installed for Blue Ivy and $6,000 worth of imported cigars and alcohol for Jay-Z at the Super Bowl were false. The singer's camp has not yet responded to the latest allegations. Two things that seem more credible are that she requires a lot of space backstage (at London's O2 arena, where she will perform on Sunday, she has taken over a space usually used to accommodate sports teams) and the tour no longer is issuing photo credentials, reportedly because the singer didn't like images that were published when she kicked off the tour in Serbia last month. 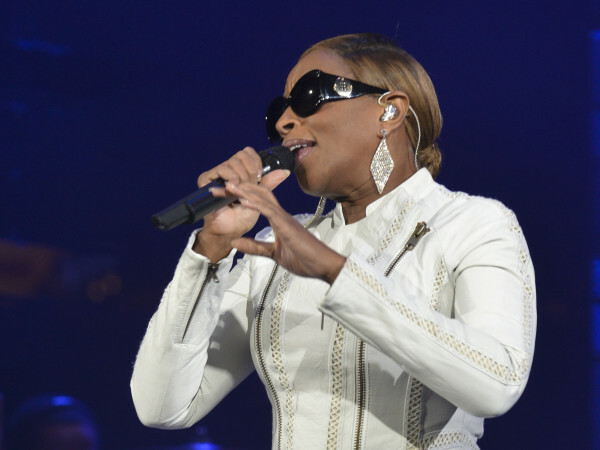 The Houston native will finish the European leg of her tour on June 1 and hit the U.S. on June 28 for her debut at Los Angeles' Staples Center. She appears in Houston at the Toyota Center on July 15. Wanna bet that when she returns home, she has some Frenchy's fried chicken?